It has Navara for Nourishment. It has Vetiver for Complexion. It has Naranga for Clear Skin. It has Amalaki for Glow. 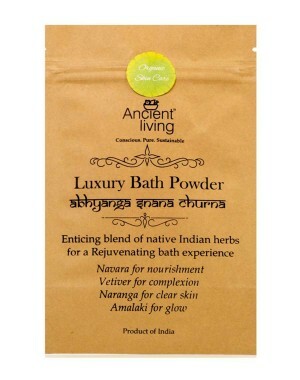 Bath powders have been used longer before soaps were invented. Ayurvedic texts mention about bath cleansers made of green gram powder, rice powder with various fragrant herbs added to them. 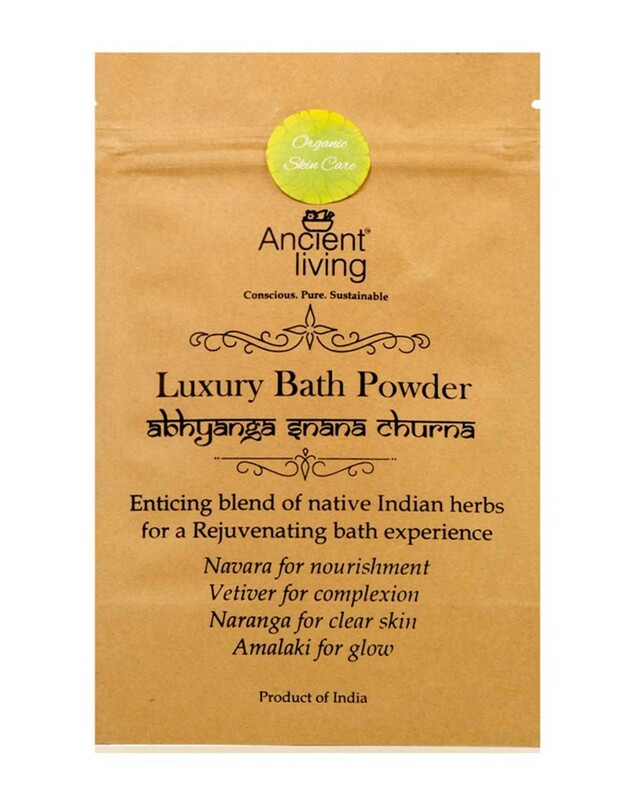 To indulge in Ayurvedic Abhyanga snanam, one can apply suitable body oil like sesame or cold pressed almond and wash off with a traditionally made Ayurvedic bath powder, also known as Ubtan or bath powder. Navara rice used in classical Ayurvedic treatments is cultivated only in Kerala great for exfoliation. Ashtangahridayam a 12th century Ayurvedic book applauds the qualities of Navara Rice. Naranga gives clear skin while Amalaki rich with vItamin C imparts the glow. Vetiver cools the skin while removing any pigmented spots. Kasturi enhances complexion while real sandal pampers the skin with its exotic fragrance. Manjista is a natural detoxifier. Vidanga is a strong anti-microbial, helps ward off skin infections. Mudga softens the skin.